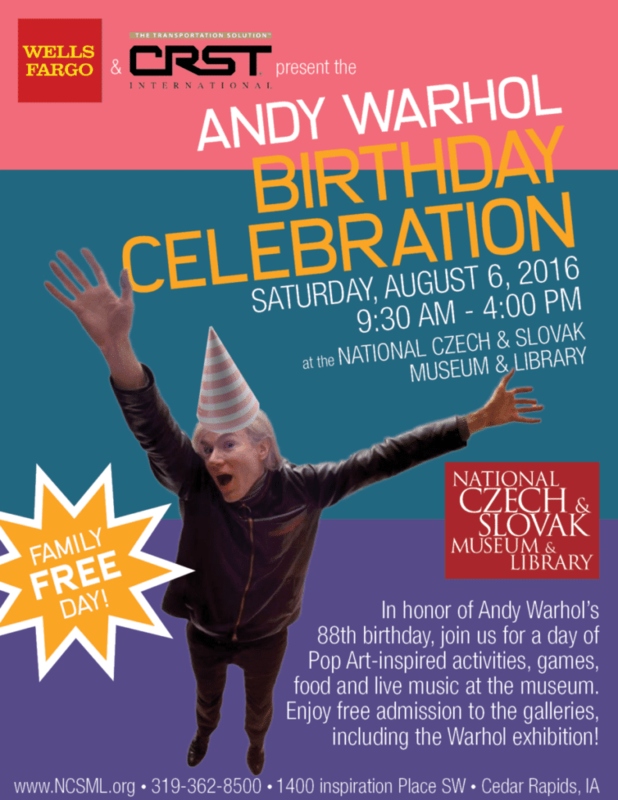 Your whole family is invited to the National Czech & Slovak Museum & Library in honor of Andy Warhol’s 88th birthday! Join us for a day of Pop Art-inspired activities, edibles, and live music at the museum. Also enjoy free admission to the NCSML’s galleries, including the spectacular Warhol exhibition! Dishin’ up an eclectic mix of vintage novelties, folk, swing, traditional, a cappella and more! Admire some family-friendly vintage fashion with a Warhol twist! 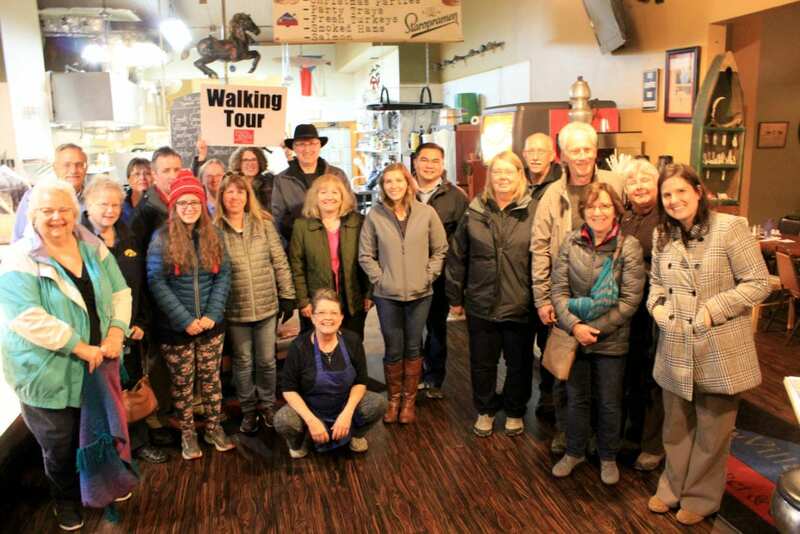 Cowboy music, folklore, and history – plus rope tricks! 9:30am – 4:00pm: Community Mural Project – What is Culture? 9:30am – 4:00pm: Make Pop Art-inspired crafts throughout the museum!  1:00pm – 2:00pm: Pollinators: They’re the Bee’s Knees! Kids and parents will learn about the importance of bees and other pollinators in the NCSML’s Czech and Slovak Heritage Garden from museum staff and Adam from Ebert Honey! Make seed bombs to plant at home to encourage pollination, then try a sweet treat from Ebert Honey. 10:00am – 2:00pm: Chalk artist Kimberli Maloy will be creating Warhol-inspired sidewalk art. 10:00am – 3:00pm: EduSkate live t-shirt printing demonstration. Plus, you can purchase your own commemorative shirt from Andy’s birthday party! Flip ‘n’ Chop Food Truck, serving up Czech and Slovak-style dishes. The Wright Touch Catering & Bake Shoppe, ready to satisfy your sweet tooth with Pop Art-inspired treats. The Great American Popcorn Company will have a special Andy Warhol popcorn mix! While you’re at the NCSML for this event, consider bringing canned goods for charity! Whether it’s Campbell’s soup, like one of Warhol’s most famous works, or a can of vegetables, your appreciated donation will go to the food bank at the Catherine McAuley Center. Their mission is to offer hope and opportunity through basic education for adults and transitional housing for women. Here is a wish list of items they need the most. Please do not bring expired food. MORE TO BE ADDED TO THE SCHEDULE SOON.